Maharam "Fasten Cocoa" Modern Retro Upholstery Fabric - 8 1/8 Yards (2 Pieces) Free Shipping! 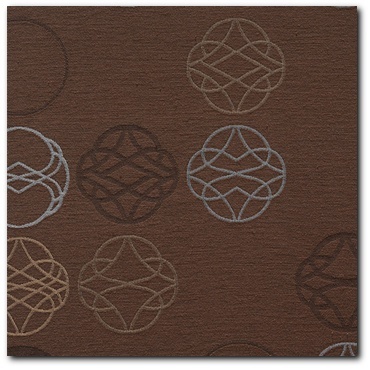 This listing is for 8 1/8 yards (2 pieces) of "Fasten" designer fabric in the "Cocoa" colorway from Maharam. Durable, large scale repeat design. Ideal for any Mid-Century Modern upholstery project, this high-quality fabric from Maharam is used by many upscale furniture manufacturers to upholster their products. There are two (2) pieces here, 4 1/2 yards and 3 2/3 yards for a total of 8 1/4 yards. You could pay $57.00 a yard (a $470.25 retail value!) at www.maharam.com, but why??? As always, we offer a premium fabric to our buyers for much less!